These two photos were taken between 530am and 7am on Thursday, August 27, 2009. 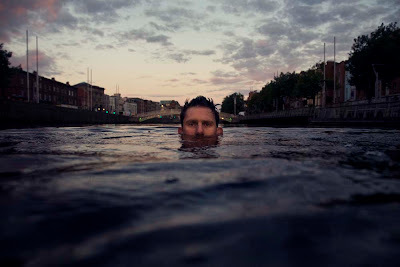 I swam from just before the Ha'penny Bridge down as far as the new 02 concert hall, maybe 1.5km. 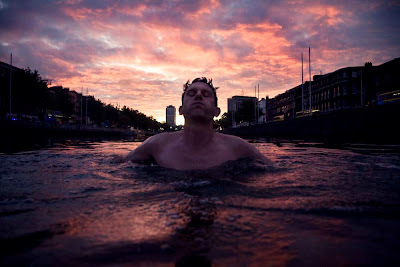 As I progressed along the river, Dublin seemed to wake up accordingly, going from a silent city to one full of young people in suits rushing towards the IFSC (banking district). Dublin from this perspective, bathed in a red and purple light, felt like a different place. This is amazing, just seen it as the cover of LeCool.